This is a corporate responsibility activity of PD Tours and Safaris where will safari participants contribute toward the wellbeing and education of orphans at the Lioness Childrens Home in Kikamaba in Kilifi Country about 20 km outside of Mombasa town. PD tours and Safaris Corporate Social Responsibility - Supporting Orphaned Children at the Lioness Cubs Children's Home in Kikambala, Mombasa (UK registered Charity Number 1143202). PD Tours and Safaris welcomes all it's safari customers and friends to contribute to the welfare and education of the Lioness Cubs Children's home in any way they can - clothes, books, pens, foodstuff and monetary aid is welcomed. This undertaking by PD Tours and Safaris is not only for those who go on safari with us but to any person willing to help the children at the home. When you sponsor a child you help him/her gain a valuable education and their basic needs met. They will also receive medical treatment as and when required. You will receive a photograph and update on the progress of your sponsor child twice in a year. Minimum amount of £10 is requested but you may contribute as much as you are able to. Lioness Cubs Children's Home offers very good rate based on the length of time you to volunteer your services at the home. All of your basic needs are met, and transport to the home is included. Please contact us, as payment will vary depending on duration of stay. PD Tours and Safaris will offer free transport to all well-wishers from the Mombasa North coast hotels to the Lioness Children's Home in Kikambala. The well-s=wisher will get to meet the children and the administrators. 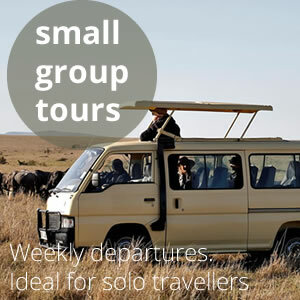 PD Tours and Safaris charges a small fee of USD 80 for 2 people from the South Coast - this fee caters for a half day Mombasa City Tour, lunch and afternoon visit to the children's home.